In a land, far far away, there was a dog who loved her couch. She sat on it, slept on it, and even chewed on it to make it hers. 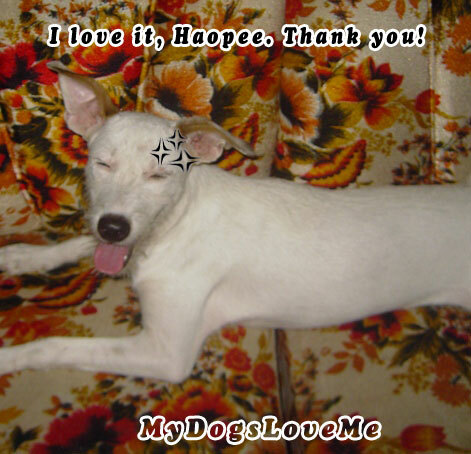 An evil Haopee took the couch and gave it to a person in need- the couch's original owner. The little dog felt something was wrong with her couch. She smelled it and smelled it again but her scent wasn't as strong as it was before... something was wrong! 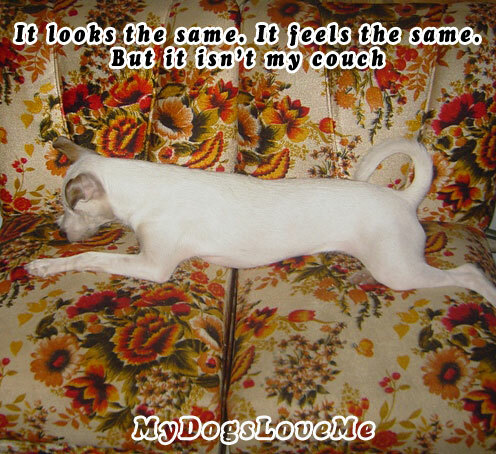 With Sherlock Holmes' deductive reasoning, the little dog discovered the truth about the couch... IT WASN'T HERS!!! She kept her cool and pretended to love it. Bent on revenge, she tricked her owner to believing that she was happy with it. Ooooo! I can't wait to hear the revenge!! Why isn't it your couch? It looks like your couch. Now I am confused. It's part of the couch set that was bought by my brother. But these two sofa seats aren't attached together. As you could see, there's a separation at the middle. Oh my Dog! A conspiricy, hope that revenge is going to be verrry sweet, ha! Hey Buchi, Hey Peanut, Hey Haopee, Jet here. Hmmm... Do you need the special investigative services of Scooby Doo Academy trained Jetty, Private K9? We love our couch too, how dare the humans mess with yours. What a mystery. Oh oh...we sense a revenge is definitely being brewed! Hmmmm, at least you are happy with the new one now. Yes tell us, what was the revenge? Chewing it again??? 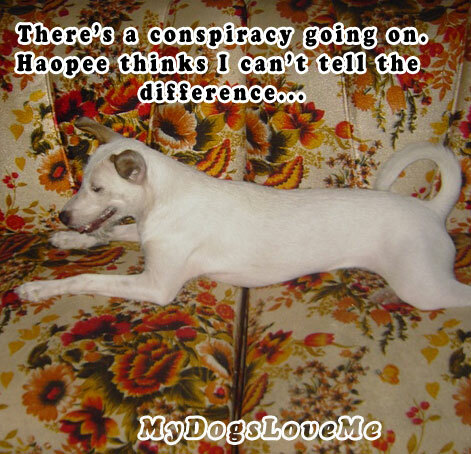 It's a conspiricy!! I hope the revenge is good!! 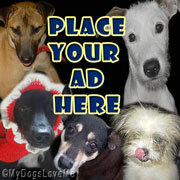 Why do the humans always think they can trick us- never underestimate the brain power of a pup, right? P.S. Haopee, thanks for sharing about "Flores de Mayo." Sounds like a lovely celebration! May Day baskets are similar - the kids make little baskets and decorate with flowers and then leave them on the doorsteps of their neighbors as a gift. 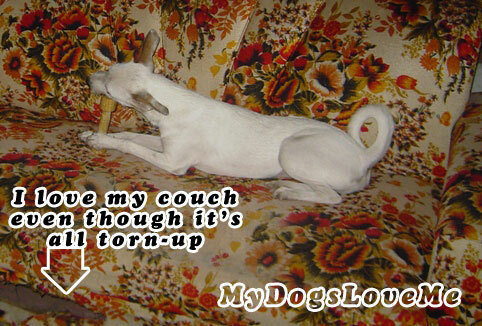 Yes, you might need to dig some new holes in the couch or perhaps chew on the fabric a little to make it your own. Good luck in the revenge business! You are going to have to do something special to that couch to make it yours Peanuts! BOL! I thought you were going to tell us she peed on the new couch! Stoppin' to say "hi"! Thanks for stoppin' to visit me! Uh oh! Revenge is not a good word! Whether its a conspiracy or not, revenge is never good. Hope y'all had a fun weekend!! Revenge doesn't sound like this is leading anywhere good! Take charge! 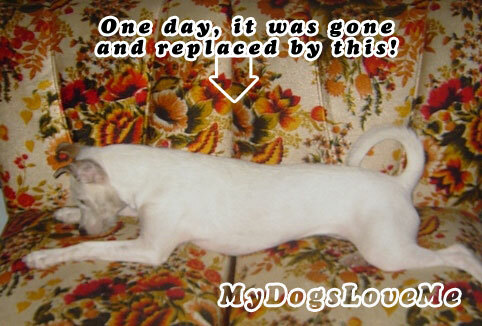 Make the new couch yours in a nice way, like the special treasure that it is...many pups sleep in gutters or in the mud.